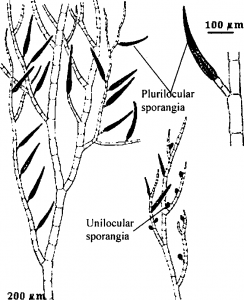 a) Germination of meioszoospores: The zoospores formed in unilocular sporangia (meioszoospores) swarm for scinetime. fhey then come to rest on some solid object. They withdraw their flagella and secrete a membrane around then. They germinate and form a small germ tube. This tube is separated prom the meiozoospore cell through a septum. This germ tube divides and redivides. It forms the prostrate system of plant. The xojecting system arises from the filaments of the prostrate system. The new plant form is haploid. Therefore, it isgametophyte. 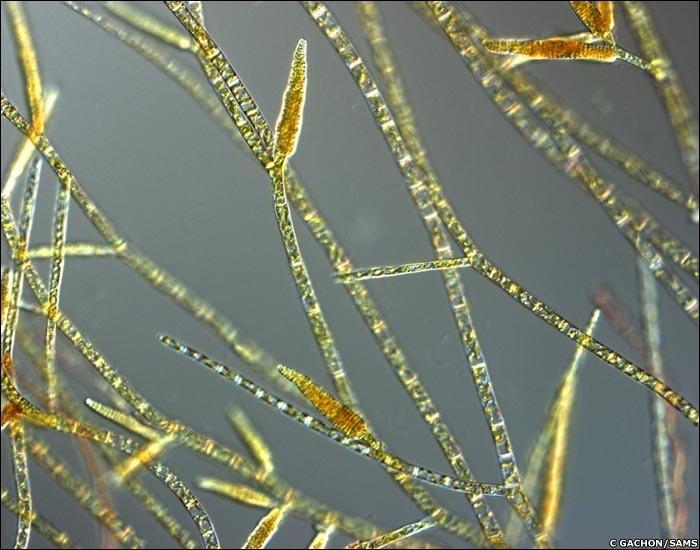 The meiozoospores develop into a gameiophytic olant. 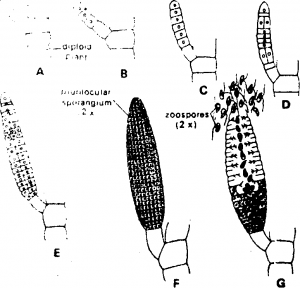 Therefore, these spores are also called as gonozoospores.